Under the Federal Copyright Act, photographs are protected by copyright from the moment of creation. Photographers have the exclusive right to reproduce their photographs. Unless you have permission from the photographer, you can’t copy, distribute (no scanning and sending them to others), transfer or sell to anyone else, publicly display, or create derivative works from photographs. Copyright infringements can result in civil and criminal penalties. Please note I am a member of PPA (Professional Photographers of America) who are very proactive about Photographer Copyrights. Images cannot be sold to another agent who takes over an expired or withdrawn listing. Image Use will only be relicensed (for a fee) by the photographer if the previous Listing Agent is agreeable and understanding to this although it is always preferred to just have me take new photos as the fee is the same cost. In order to provide you with the best service and support at reasonable pricing, we do not sell our photos for Real Estate Photography. We license use of the photos for the duration the listing is Active and we allow the client to use the photos in any print, media or social site for marketing the listing. My rates are dependent on using the photographs for a limited period and protecting you, myself and the clients by retaining copyright. Only the licensee & Photographer have permission to use the images. *Builders, stagers, designers, or “third parties” and homeowners that decide to sell themselves or hire an Agent must contact the photographer directly for licensing and fees. *SALE or Transfer of images is a copyright violation. *Photographer retains right to use photos in any sort of marketing/website/blog/social media and retains copyright. Home owner grants usage via MidGAMLS F1, Exclusive Seller Listing Agreement, in Marketing, the homeowner grants the agent the right to do any photos/marketing needed to get their home sold but homeowner acknowledges they have no rights to these items. Home sellers and buyers may certainly request a copy of the photos from photographer only for their own keepsakes. However if they choose to sell themselves or hire an agent, they must purchase license through me. I will only give keepsake copies to homeowners. However, if a person decides to do For Sale By Owner- then they may purchase the existing photos, if they list with an Agent, they must let me know so I can grant the new Agent the right to use them while the listing is Active. The Agent otherwise has no rights to the photos. Licensees may not give rights to, give copies or ‘transfer’ the photos to anyone else. Please have home sellers and buyers contact me. No photos can be sold/transferred to any other agent it person by a client. Only by myself. 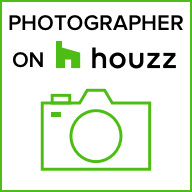 However, I always prefer to reshoot the home and not to re-license the listing photos. What can’t the agent do? Even if an agent has a copy of the photograph, they cannot give it to any person or entity to use that is not outlined in the usage license. The photos are simply not theirs to give or sell. Only the copyright holder can grant further licensing. The photos have in essence been rented as outlined by who can use the photos, for what purpose and the time frame in addition to any other stipulations. The licensee cannot assume more usage than they are granted. They also cannot transfer the usage to someone else. Sometimes people just think they can save photos out there on the internet and use elsewhere or give/sell to other agents when they relist- but when someone uses copyrighted material without permission a variety of things can happen. It can range from nothing to take down orders and/or payment including damages to a Federal Lawsuit with damages up to $150,000 per photo. Also be aware that watermark removal is also a crime. Do I inform the purchaser? I have listed everywhere my Copyright information. Each invoice has included my copyright information. It is at the top of the Booking Page also. If there are any questions, they should be asked ahead of time. It is the licensee/Agent job to ALWAYS inform the home owner of these terms and conditions so they are aware.